In this workshop we will explore what essential oils are, how to use them, and why they are an essential tool for your health and wellbeing. 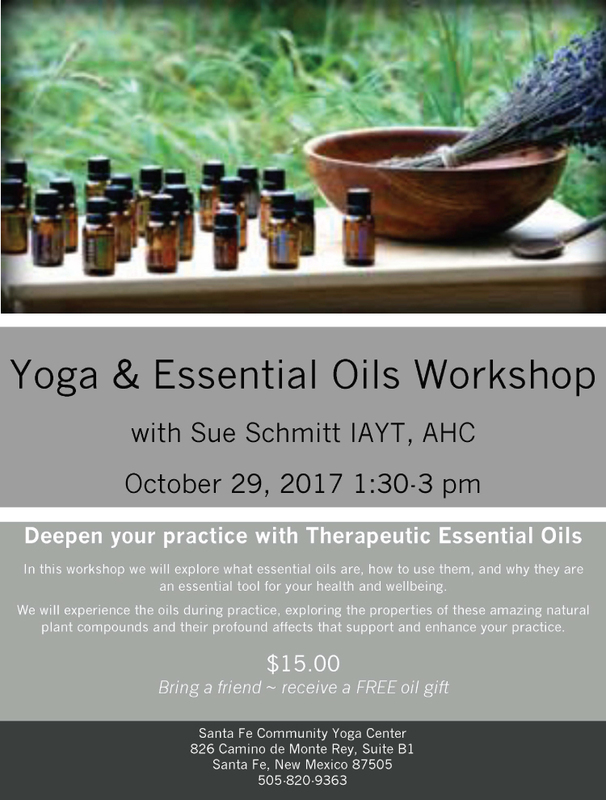 We will experience the oils during practice, exploring the properties of these amazing natural plant compounds and their profound affects that support and enhance your practice. $15 - receive a free oil gift if you bring a friend!